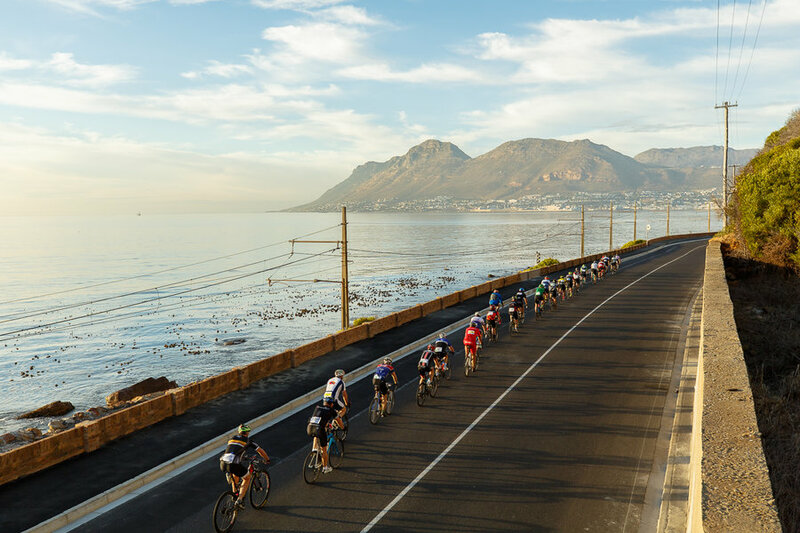 5 days of back-to-back riding down the coast, ending with the Cape Town Cycle Tour – the perfect Grande Finale! Leaving the SA surf capital behind, we warm up the legs on an easy initial 10km, and then there is a hilly section after Humansdorp before it flattens out alongside the Langeberg Mountain range. 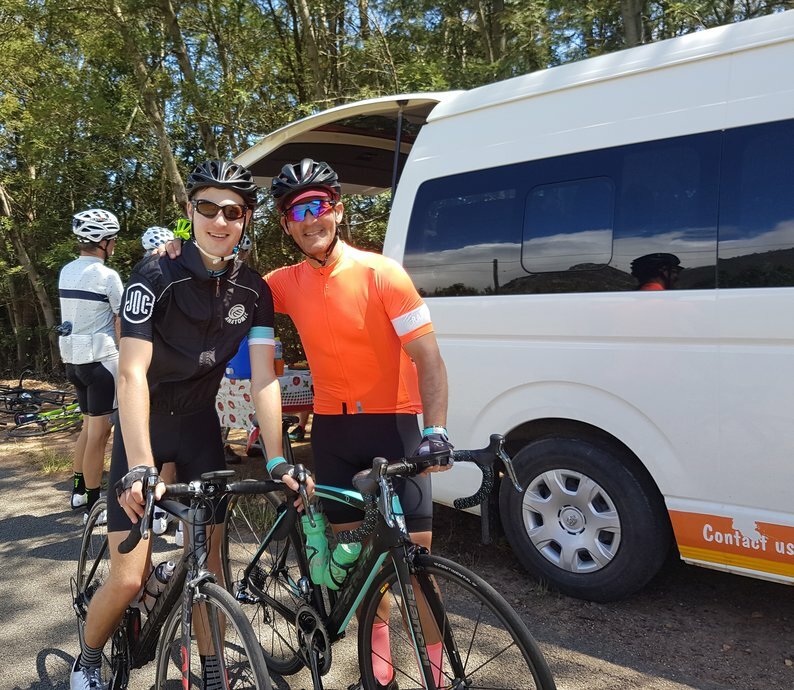 There is a refreshment stop under the trees at 46 km and an optional stop at Oudebosch Farm Stall at 73km, then cycle on through the forest, ending at the cosy Tsitsikamma Village inn, where we enjoy lunch by the pool. 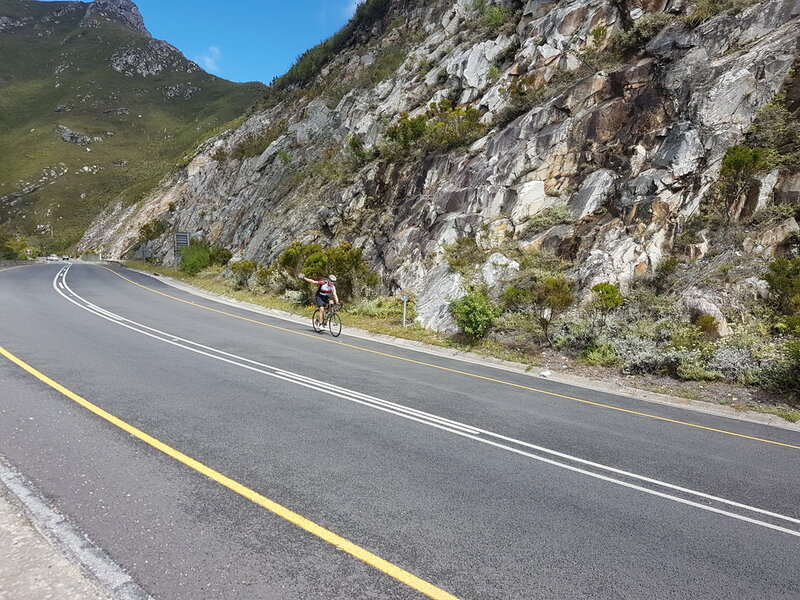 Day 3 – A splendid display of Nature & Passes into Knysna & on to Wilderness – 102 or 147 km. This is the heart of the world famous, scenic ‘Garden Route’. 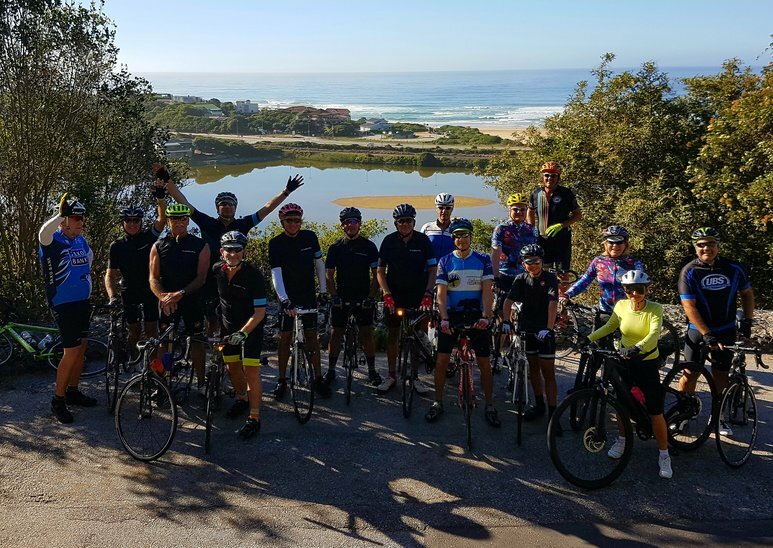 Bloukrans & Nature’s Valley provide two wonderful challenges with stunning descents and testing climbs. 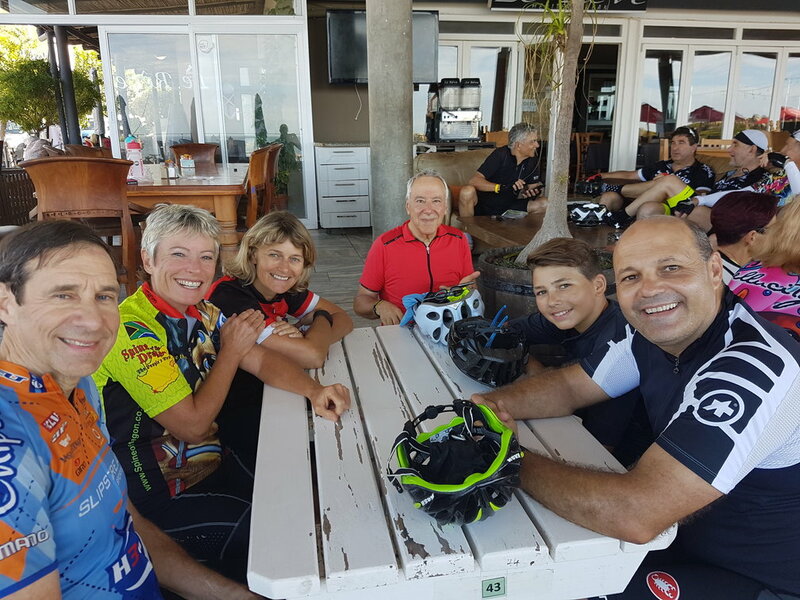 After a refreshment stop at Garden of Eden, our route takes us through to Knysna (102 km) and then shuttle or cycle the 54 km on to The Wilderness, where we overnight at our hotel overlooking the lagoon. 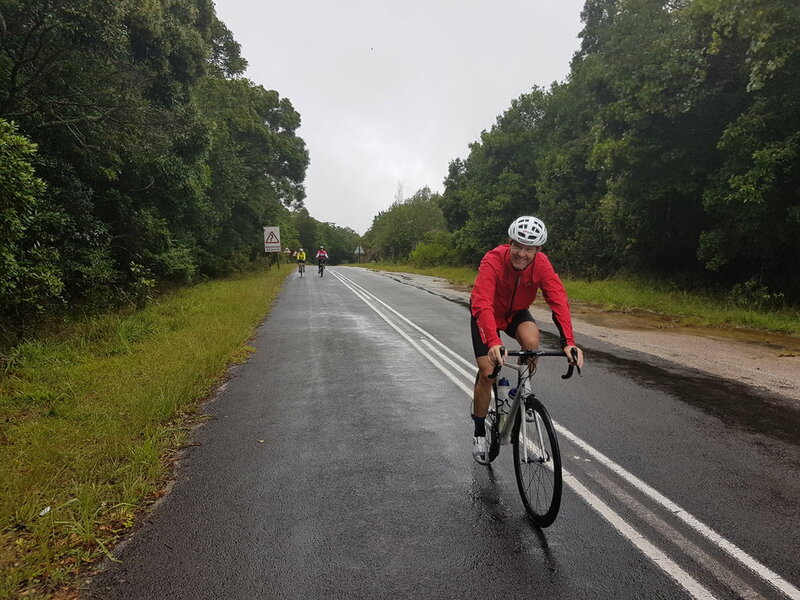 We ride out of the hotel directly onto White’s Road for an “Afrix-Roubaix” detour off the busy main drag, which takes us on hard-packed dirt, along quiet, shaded roads and into George. We then ride up & over the spectacular Outenique Pass, both ways, after which we make our way along the R102 to Hartenbos on the outskirts of Mossel Bay. Our hotel set on the river mouth overlooking the ocean. The route threads through wheat fields and rolling hills to Caledon. 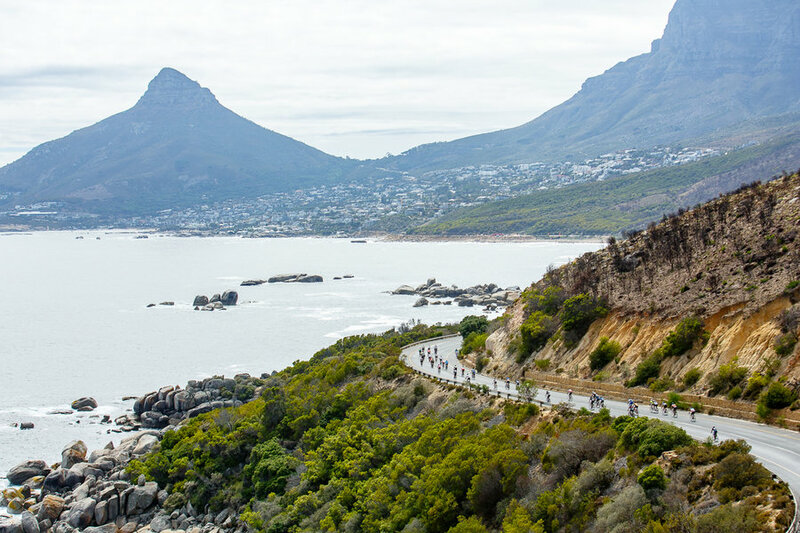 From here we ride over Shaw’s Pass and into the beautiful Hemel and Aarde Valley, with vineyards all around, and on to the popular seaside resort of Hermanus. We overnight close to the water and there are many shops & restaurants as well as the old harbour to visit. Rest & recover. Visit the CTCT Expo at the Cape Town Stadium, collect your race packs and soak up the pre-race vibe & excitement. 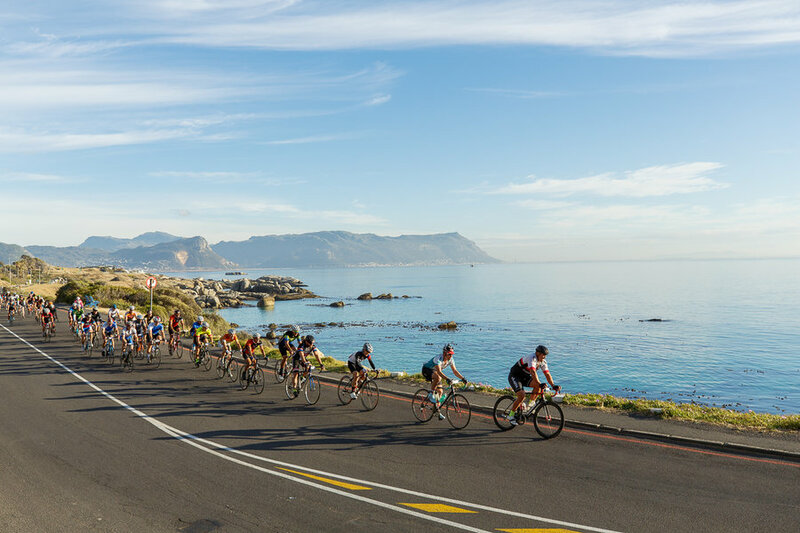 Join 35 000 other cycling enthusiasts in the biggest individually timed cycle race in the world on one of the most spectacular routes. 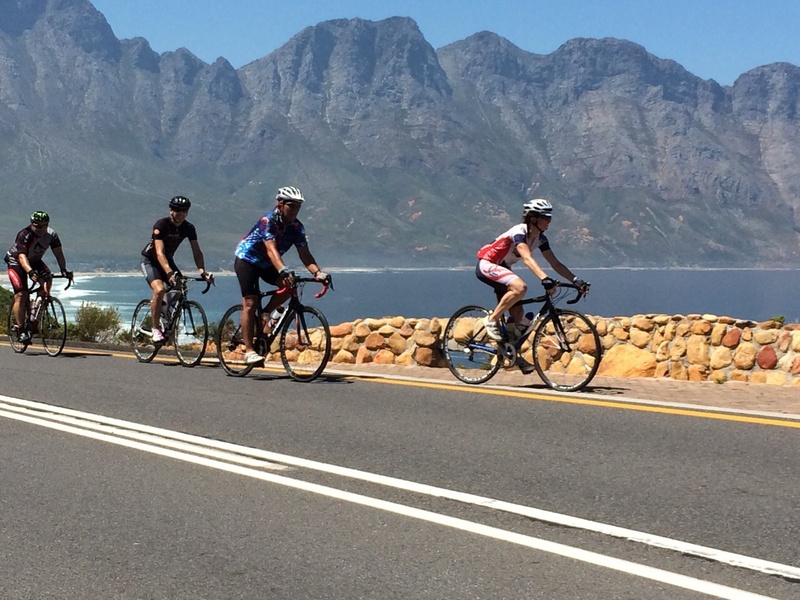 Alternatively please make other arrangements if you’re staying on in Cape Town after the Cycle Tour. *NOTE: Does not include accommodation in CT or a CTCT entry, Tour ends with drop off in CT on Friday before the race. Tool kit, foot pump, first aid kit, etc. Any personal nutrition preferences, e.g. gels, recovery drinks, etc. All items of a personal nature, e.g. telephone calls, laundry, etc. Foreigners flying directly into PE with bikes still boxed from international flights, will need to have these boxes couriered from PE to our warehouse in CT, where they will be stored for the duration of the tour then delivered to your hotel afterwards.